A Sandia National Laboratories team built a telescope to demonstrate how to design for additive manufacturing, familiarly known as 3-D printing, to take advantage of the technique's strengths and weaknesses. Sandia's three-year Laboratory Directed Research and Development project proved the feasibility of using additive manufacturing as an entirely new design tool, vastly different from the standard technique of moving from hand drawing to computer-assisted design to machining parts, said Ted Winrow, a mechanical engineer who led the project. Instead of concentrating on printing precision parts, the project focused on how to put less precise 3-D printed parts together with precise tools, taking advantage of the rapid prototyping, design and manufacturing possible with additive manufacturing. "That's the nuance that seems to get lost, that you have to design differently," Winrow said. "It doesn't plug into a standard design process." 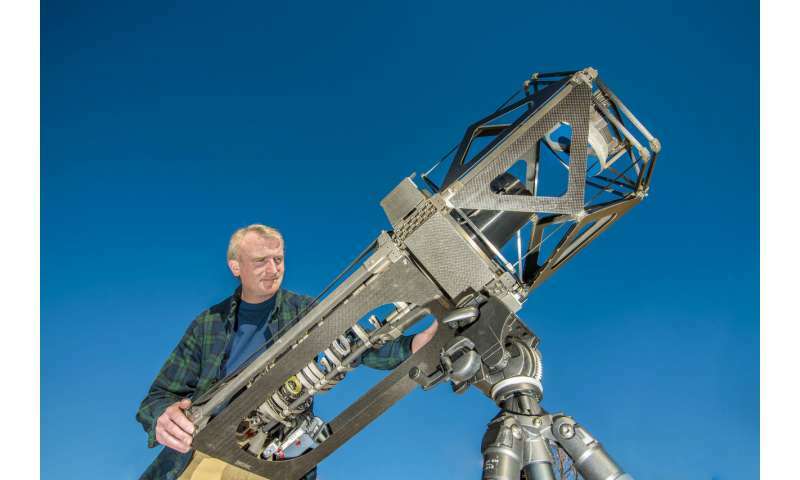 The team created a lighter weight, less expensive ground-based telescope in about a third of the time of a traditionally made telescope for about a fifth of the cost, he said. 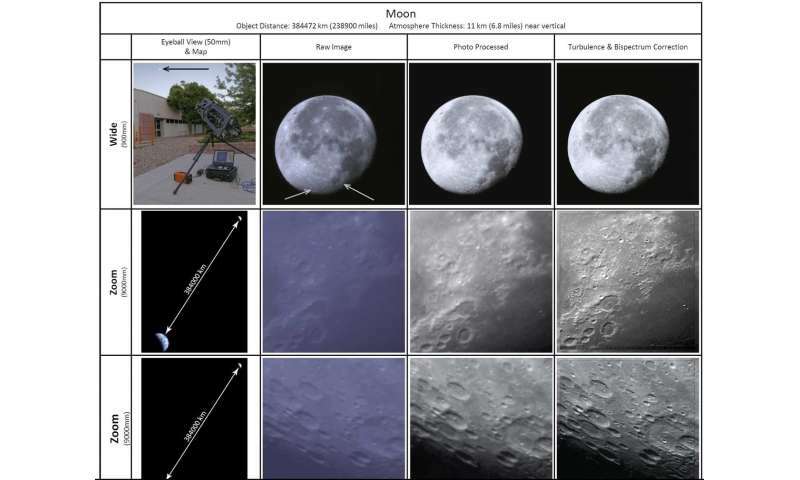 They used 3-D printed components, modular design and, for the telescope optical design, image-correction algorithms that also helped save money. The technique shifts money from recurring costs, "where every part has to be precise, to nonrecurring costs, where you're just buying one set of tools that you can use for maybe 10 years," Winrow said. "So when you're making production runs you get cost savings. You've got time savings because you're not waiting for each piece to be made" by machining. There are two ways to approach building any precision structure: make every piece to exact tolerances so assembly is simple, or make rougher pieces and use a very precise assembly process that compensates for shortfalls in dimensions. Machining creates parts with extremely precise dimensions, but it can't cheaply make, or in some cases, make at all, the strange 3-D printed designs that may have advantages in function and weight. Additive manufacturing forms the material—polymer, ceramic or metal—at the same time it creates a part. Research is ongoing into how that affects the properties of materials and whether changes in properties matter in a particular use. Design, however, is a separate question. "Can we design a system that doesn't care if your material is not as good as you expected it to be? Can you design a system that doesn't care that your parts aren't as dimensionally accurate?" Winrow said. "If you make yourself insensitive to the things that additive's not very good at, you take advantage of all its good things." For example, a standard camera has a ledge, which must be very precise because the position of that ledge defines exactly where a lens sits. Sandia's project, working with lenses for the telescope, created a straight cylinder with no ledges. Instead, "we hold the lens at a very precise position using very precise tooling. We hold the lens in the right spot and then we inject epoxy around it and lock it into place," Winrow said. "We can make parts that are less precise as far as dimensions are concerned because of the epoxy in the process. It's the tooling that's precise." Sandia applied for a patent for a monolithic, titanium flexure that's part of the telescope mirror mount. A flexure refers to a broad range of elements used like joints between rigid bodies. The joint motion, either linear or rotating, is produced by bending the element. Rigidly mounting metal to glass doesn't work because the two materials expand and contract at different rates as temperature changes, and the glass could deform or even crack. A flexure acts like a spring, although it doesn't look like a coil spring. Sandia's design is roughly cylindrical, about 2 inches long and 3/4 of an inch in diameter, with very thin flexure blades. Three flexure mounts attach to the mirrors with epoxy, relieving expansion and contraction stress where mirrors attach to a carbon fiber backbone. The precision mechanical design team worked on the project with Sandia optical designer Jeff Hunt and algorithm authors Dennis Lee and Eric Shields. Winrow said the lens design creates a raw image with distortions and other errors. The software algorithms correct certain types of errors better than others, so errors in the lens design are the type the algorithms are good at correcting, he said. "The thought was you could have less precise optics and correct for it with software, essentially after the fact. Similar to how we designed the mechanical hardware to be insensitive to additive manufacturing shortfalls and take advantage of its benefits, Jeff optimized the optics of the system so the software maintained the image properties the algorithms could not have done as good a job correcting," Winrow said. "You could get the same performance you could have if you spent three times as much money on better optics." The project has ended, but Sandia structural designers now are using information from it, he said. "That was what the project was looking at, how these ways could make it faster and cheaper and just as good," Winrow said. "If you talk about things you can give up, things you can compensate for after the fact, it opens up realms on the design side."